A major poultry producer is being sued by two non-profit organizations over marketing and advertising claims it has made. The suit against Pilgrim's Pride Corp. was brought in D.C. Superior Court, under the D.C. Consumer Protection Procedures Act. It was filed by nonprofits Food & Water Watch and Organic Consumers Association (OCA), represented by Richman Law Group and Animal Equality, who question Pilgrim's claims that the birds used in its products are fed 'only natural ingredients', 'treated humanely', and produced in an environmentally responsible way. According to the groups, Pilgrim's 'systematically raises, transports and slaughters chickens in inhumane factory-farm conditions that include the routine use of antibiotics, synthetic chemical disinfectants, genetically modified crops growth-promoting drugs, and other unnatural substances'. "Pilgrim's Pride is using slick marketing tactics to deceive consumers," Wenonah Hauter, Executive Director of Food & Water Watch, said in a statement sent to Plant Based News. "There is nothing natural, humane or environmentally responsible about its operations. Pilgrim's Pride looks after its profits - not the planet." "When consumers read that Pilgrim's chickens are fed 'only natural ingredients' they don't expect those ingredients to include antibiotics, genetically modified grains or growth-promoting drugs," Ronnie Cummins, OCA International Director, added. 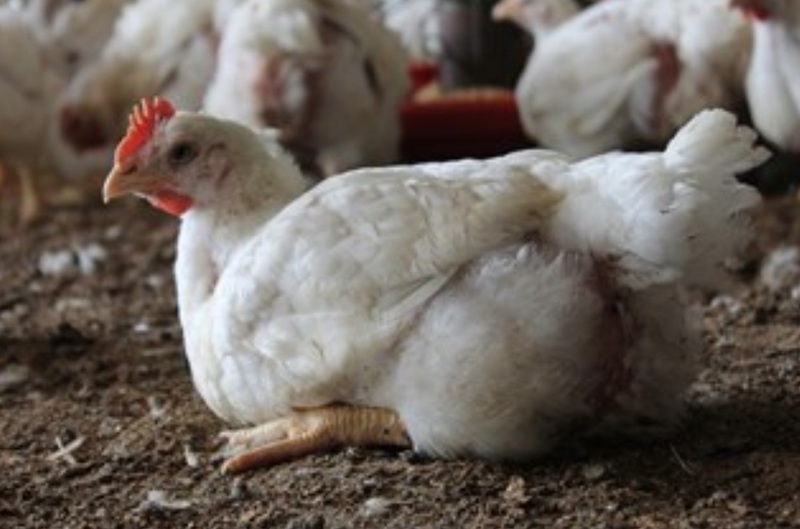 "Consumers also don't expect a 'humanely raised' bird to have lived its life crammed into a disease-ridden warehouse with no access to the outdoors. It's time for Pilgrim's to clean up its act, or come clean on its marketing claims." Plant Based News has contacted Pilgrim's Pride for comment.